Picked up my first air-cooled 911 last week - a 1990 Carrera 4 Cabriolet Manual after a very positive PPI. It was a 'Special Wishes' programme car with Brilliant Red Metallic paint. 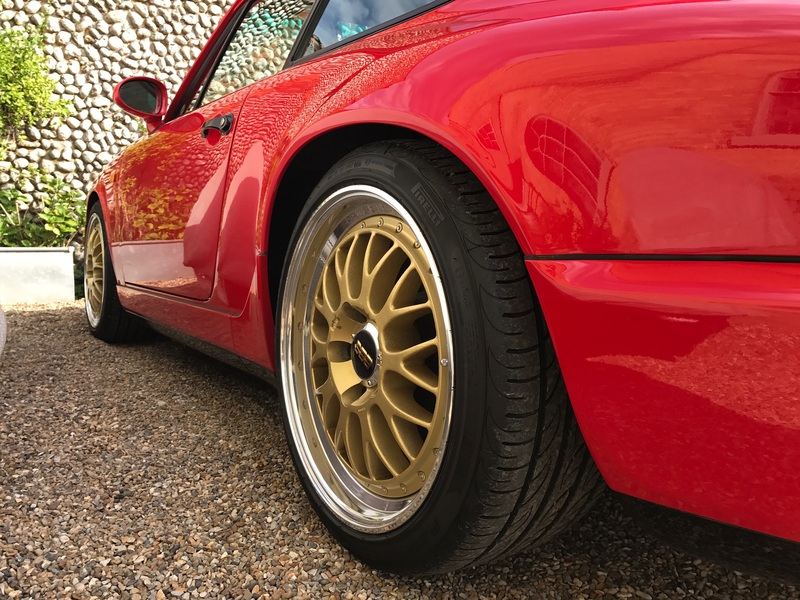 The first owner also specified BBS rims with gold latticework (these have since been replaced though I'm tempted to try and track some down). 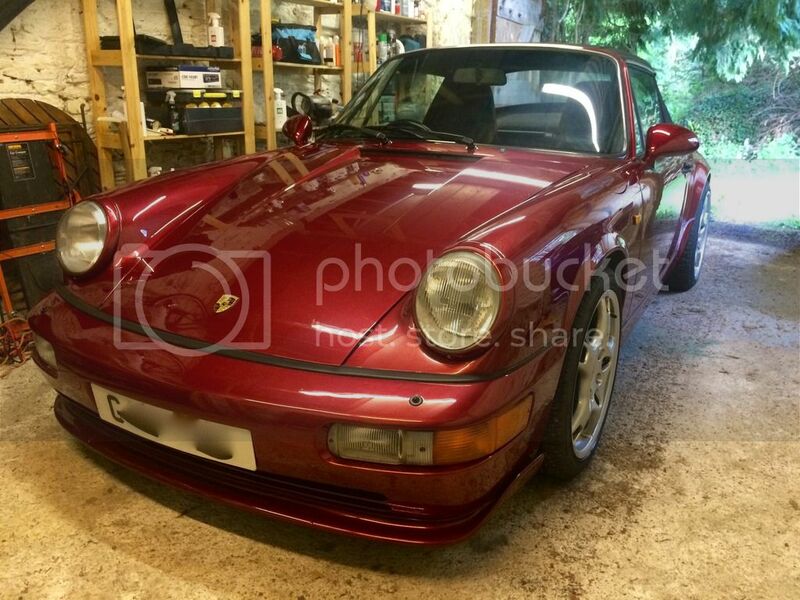 The complete history file starts with the Bill of Sale from AFN Porsche: £65,235.72 back in 1990! Some nice modifications including Bilstein HD shocks with H&R springs. 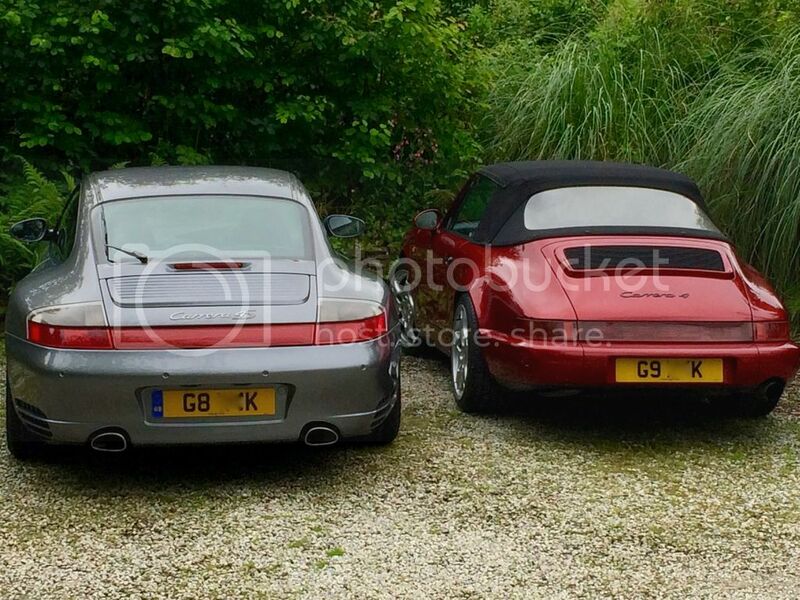 Has been well looked after by SCS Porsche in Devon for the last 10 years (including a recent top-end re-build). 94k miles, full service history. Make sure you drive it and get the psychological barrier out of the way. 1 Euro trip should do it. I agree the BBS or period wheels would suit it better. Great colour! Are you saying it was delivered by Porsche with BBS wheels as an option code or these were fitted after delivery? That's a great colour and the front lip works well. Now ditch those 997 Lobster Claws and get some BBS Splits on pronto. The 'BBS Road Wheels' were supplied and fitted by the dealer (AFN) at a cost of £1,990 + VAT. With an allowance of £400 for the factory fitted D90 wheels! Couldn't resist getting the adjacent plate! Meantime, I'm thoroughly enjoying the ride - Bilstein dampers + H&R springs. Well, a couple of weeks (and 250 miles) in and I'm keen to swap out the inappropriate wheels. I have to confess that I'm leaning towards a set of refurbished D90s. I like the idea of going right back to April 1990, when the Happy Mondays were in the Top 10 and D90's looked like the future.